A cool high-end dock from makers Edifier, how does it perform in our review? It could be ideal to go in a home office. At the time of writing carries the chunky price tag of £169.99, so is it actually any good? I really like the Edifier products having previously looked at the Aurora, Soundbar and iF350 so let’s see if this can match them. 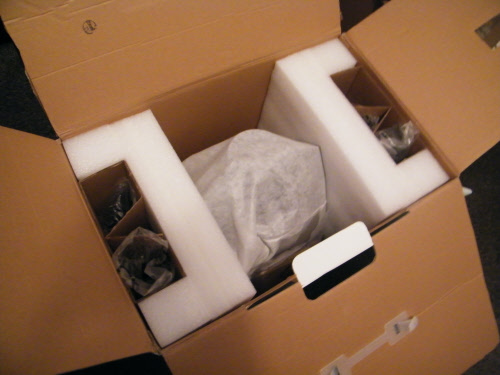 It comes well packaged and protected in the box, see picture at bottom of page, so you can be confident of it arriving safely should you get one. The dock comes in a soft touch bag, as with all Edifier products I have tested, this is a nice touch. You always get the impression this company take care of every detail. Once I had everything out it was just a case of plugging it in, popping my iPod Touch in and away I go, no problems. 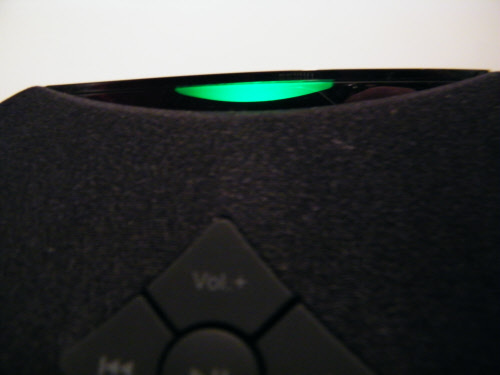 It’s highly compatible with many iPods and also has an AUX input for other MP3 players and devices. As iPod speakers go this one is a biggie, but for me the images of it make it look absolutely massive, but seeing it in person once setup it wasn’t anywhere near as big as anticipated. Nonetheless it is still considerably larger than your average dock. You certainly can’t just stick it on your desk so it will have to be on the floor or a coffee table perhaps. Feels very well made and solid. 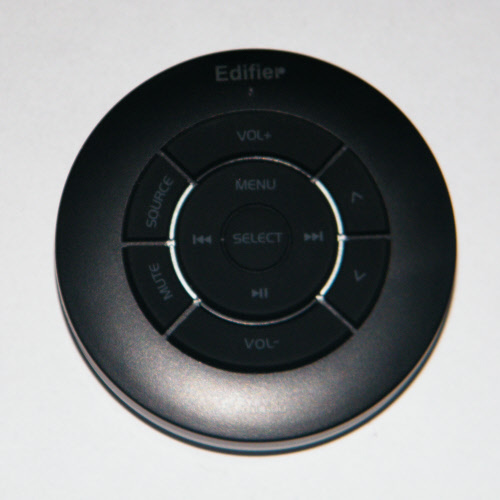 As with other Edifier products it has lovely buttons which feel good when pressed. Tidy simple design of the buttons so it is simple to use. The remote is cool, it doesn’t sit particularly nice in your hand and can slip out, so hopefully it is solid and can survive drops. They chose style over substance perhaps with the remote. 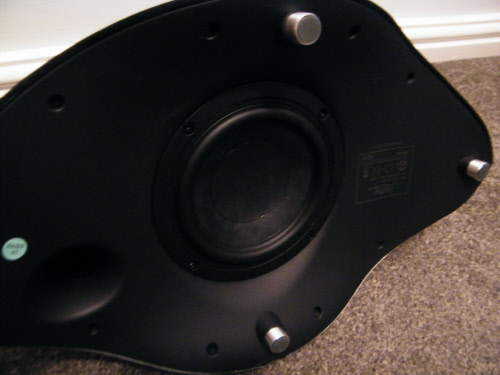 Quality of sound is very good. Lots of nice bass, far more then you get from other docks I’ve tried out over the last couple of years, so it should be credited for that. It goes nice and loud without major distortion issues. The tech specs for power is RMS 9W x2 + 30W x1 so it has more power then your average dock. This is a good product, but it doesn’t come cheap with an RRP of £169.99, so it’s not for everyone. If you have a minimalist style house this could be a stand-out gadget in your kitchen or any entertaining area, and would get plenty of attention from friends. 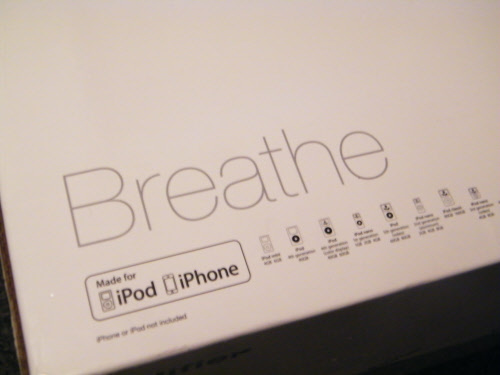 Certainly the best iPod dock I have used so despite it’s price it does deliver a good experience. If you like this creator of hardware you should also check out the Aurora which is another cool gadget. All photos taken above for this gadget review owned by MoneyCortex. Connext - A glance into the future world of gadgets!